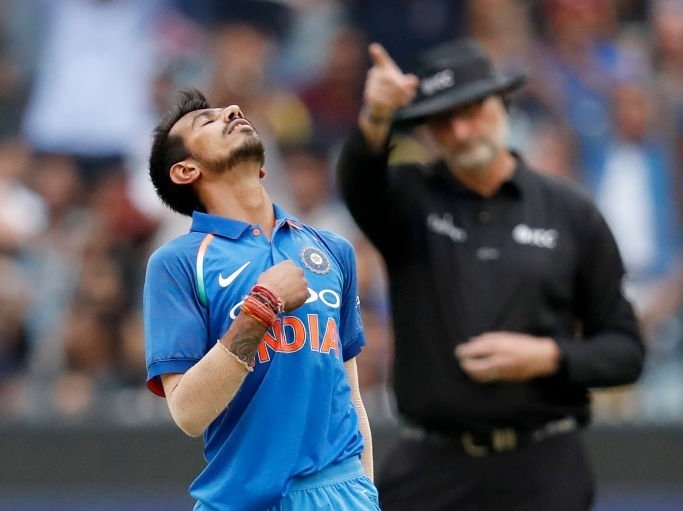 In a clinical performance, Indian spinner Yuzvendra Chahal picked up a six-wicket haul helping his side bowl out Australia for a meagre score of 230 in the final ODI of their ongoing three-match series here at the Melbourne Cricket Ground on Friday. 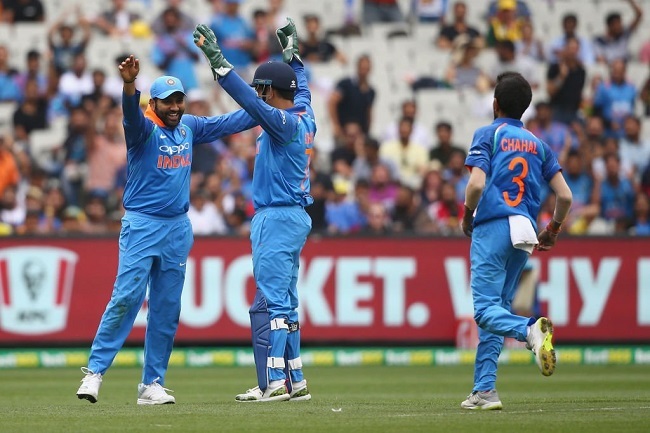 Melbourne: In a clinical performance, Indian spinner Yuzvendra Chahal picked up a six-wicket haul helping his side bowl out Australia for a meagre score of 230 in the final ODI of their ongoing three-match series here at the Melbourne Cricket Ground on Friday. 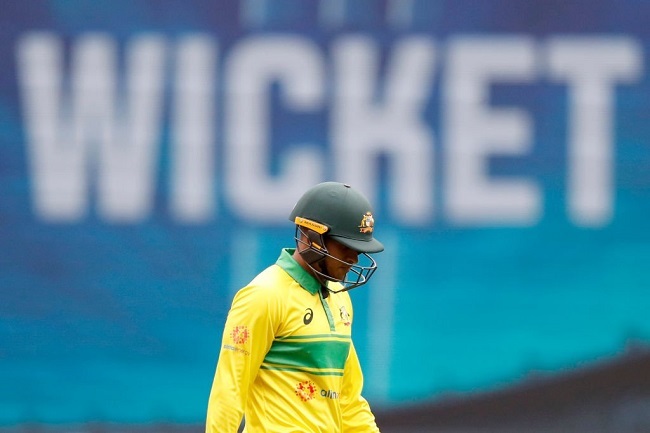 Opting to bowl first in the rain-hit final ODI, India did not give Australian batsmen a chance to settle in and wrapped up the first innings in the 48th over of the match. 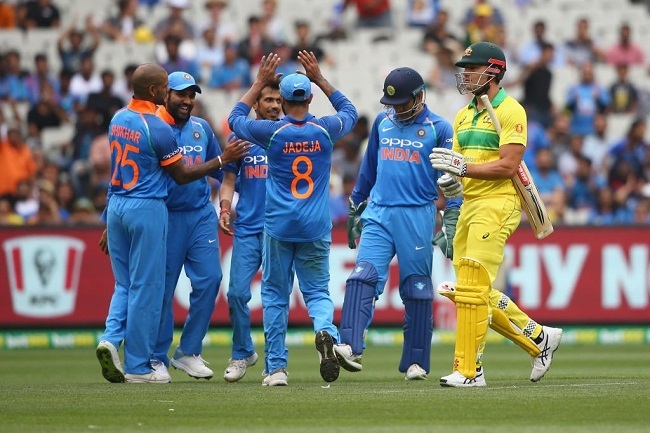 India gave Australia their first jolt when pacer Bhuvneshwar Kumar, with his swinging delivery, trapped the opposition opener Alex Carey (5) in the third over of the Australian innings. Kumar continued to trouble the Australian batsmen with his tight line and length. All the hard work paid off for the fast bowler as he got the second wicket in the form of Australia skipper Aaron Finch who departed at the score of 14. Finch failed to break the Bhuvi code as it was for the third consecutive time in the series that he was dismissed by the Indian pacer. Left-hand batsman Shaun Marsh, who played a heroics innings for Australia in the last ODI, failed to impress this time as Indian spinner Yuzvendra Chahal trapped him in a leg break delivery at the score of 39. In the same over, Chahal struck again and this time it was Usman Khawaja (34) who failed to read a deceiving delivery of the spinner leading to a soft edge which was caught by the bowler himself. The Chahal storm continues to rattle the Australian batting order as middle-order batsman Marcus Stoinis lost his wicket at the score of 10 runs. Stoinis completely misread a drifting leg break delivery which was edged by the batsman, only to be caught by Rohit Sharma at slip. Australia were in deep trouble as they had lost their five wickets at the score of 123 runs. Next batsman, Glenn Maxwell built a 38-run partnership with Peter Handscomb who was holding the crease from the other end. Just when the situation seemed to be improving for the hosts, Indian pacer Mohammed Sham departed Maxwell who gets a thick edge of the ball only to be caught by Bhuveneshwar Kumar on the field. After the fall of Maxwell, Chahal came back into the spell and scalped next three Australian wickets including Peter Handscomb (58), Jhye Richardson (16) and Adam Zampa (8). The last man to fall was Billy Stanlake who departed back for a duck when his stumps were scattered by pacer Shami.